Decide if a STEM High School Is Right for Your Child #makereducation « Adafruit Industries – Makers, hackers, artists, designers and engineers! The new high school in Jeannine Cerajewski’s area gave her a lot to consider. On one hand, she thought the school’s focus on science, technology, engineering and math could help her daughter Mary, then a freshman, sharpen her skills and be better prepared for college. But the Fort Wayne, Ind., parent didn’t want Mary to be a guinea pig, either. “It sounded like a new and unique and interesting way for kids to learn,” says Cerajewski, who took the plunge only after hours of Internet research. Advocates of STEM high schools say they can provide a variety of benefits for students, including improving their problem-solving skills and preparing them for lucrative careers. But not all STEM schools are created equal, experts say. 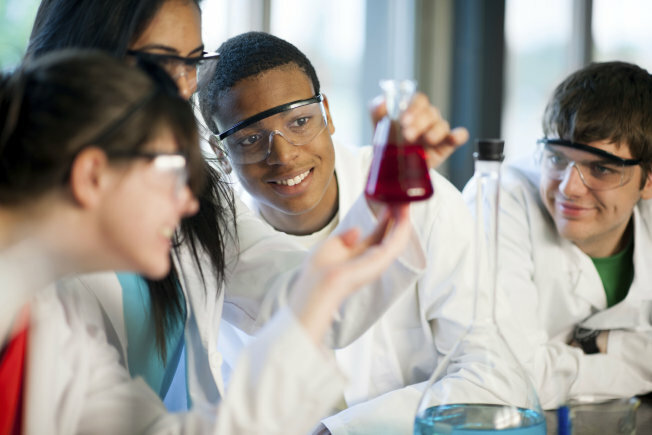 Unfortunately, despite the push for more STEM schools, there is little information on what constitutes a strong STEM-focused high school, says Sharon Lynch, an education professor with a STEM education research focus at George Washington University.